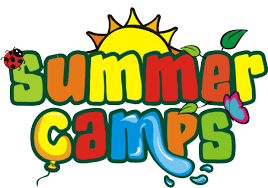 Weston Youth Services, in collaboration with Weston Public Schools, are pleased to offer Summer Camp programs for students entering Grades 1-12. Please note that enrollment is limited and enrollment will be filled on a first-come, first -served basis. Online registration is currently underway. If a program is full, you still may register and your child's name will automatically be placed on the wait-list (No payment is required at this time). If space does become available, you will be notified via email. Please see each listing for specific fees. Financial Aid is available; please contact Allison Lisbon, Director of Social Services, at 203-222-2663 if you would like to inquire about assistance. ALL camp payments must be made online; you will have the option to pay with a credit card via our secure site. Payment for Weston Public School district camps are due at time of registration. A $400 non-refundable deposit per student/per session is due at time of registration. The remainder of the balance is due on or before May 15th . If we do not receive full payment by May 15th, you will lose your deposit and your child’s spot will be given to the next person on our waiting list. If you are registering for the full day Weston Innovation Technology camp, full payment is due at time of registration. If you are registering for a Half-Day Performing Arts Music Camp, or Creative Writing through Art, Music, and Mindfulness Programs, payment is due at time of registration. If you are registering for a Counselor in Training (CIT) program, payment is due at time of registration. Refunds will be given, less a $25.00 processing fee, if you withdraw from a Weston Performing Arts Theater, Music, Innovation Technology, or Creative Writing through Art, Music, and Mindfulness Programs on or before May 15th. After May 15th , no refunds will be given. All students participating in the Weston Performing Arts and Technology Summer Program must complete a Health Form. Refunds will be given, less a $25.00 processing fee, if you withdraw from a Weston Youth Services Program on or before June 1st. After June 1st, no refunds will be given.